This has been a golden opportunity to take some notes from the perspective of a paid search guy who’s been thrown into the world of paid social. If the Facebook Ads team is listening, here are some thoughts about various annoyances — all of which, if solved, would translate directly to more rapid campaign creation, not to mention money spent by Facebook advertisers. So, with no further ado, here are my initial reactions to being immersed in the various Facebook Ads interfaces. You really can’t easily clone an existing organic post and use the clone in a paid campaign. You can boost a post, sure, but then any UTM tagging that you built into the URLs in the post will remain, tracking (and miscrediting) the organic and paid versions! Not helpful. Really, you need a separate version of the post with “utm_medum=paid-social” (or whatever your preference is) in the tracking code for the Website URL. Another approach I dug into was creating a “dark” (unpublished) post; but when you do this, although the GUI explicitly promises that you’ll be able to edit the title and description later when you turn it into an ad, this does not appear to be the case. So apparently, if you want full control over the post, you need to create a second version of the post via the “Creative Hub” feature. This is painful because first, you have to hand-duplicate every element of the post into a new “mock-up,” then you have to go through a clunky process to import the mock-up into your ad account before you’re able to select it in Power Editor when you create the actual ad based on it. This is all extremely tedious. How about just letting me clone an existing post into an ad? Then I could just edit and change the tracking code — easy peasy lemon squeezy! What’s with all this “Confirming” stuff? There are Campaigns, Ad Sets and Ads. Why, when I create something, does it often seem to just sit there with an inactive status? That is, until I realize I have to click on the little up arrow next to it, then review and confirm its “Status” change in a dialog box that tells me almost nothing other than that there was a status change — a change, in fact, that I initiated, so I darn well know about its existence already! In AdWords, once you create an ad, unless you select “pause,” it just runs! Why all this confirming? It’s a barrier to spending. I put up several ads at one point and had no idea they weren’t running for a number of hours. Not acceptable. Isn’t it time to discard the stone knives and bearskins? It’s incredibly hard to believe that Facebook has not yet bought a website analytics company, integrated it with Facebook Ads and created an ID that tracks 50 things about the click, which can then be shared automatically between Facebook Ads and the analytics service. Wait, you say… they have! Well, at least, apparently they’ve had a “Facebook Analytics” product for quite some time now. (The fact I did not even know this until today, doing some background research for this article, is a whole other problem. Why are they not marketing this heavily?) At any rate, Facebook Analytics does not appear to have an auto-tagging feature. Yes, exactly. What are they waiting for? This is the most obvious strategy in the world, and it would make marketers’ lives much easier by eliminating all of that odious UTM tagging work. 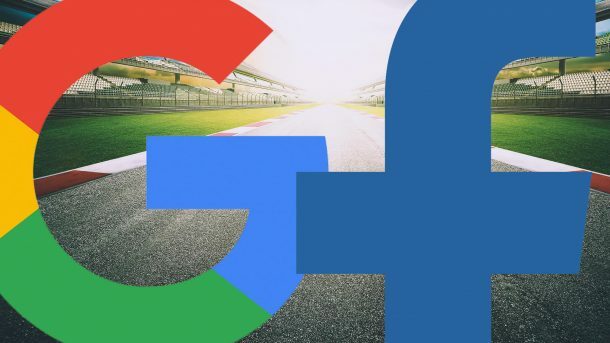 Not to mention, Facebook is tolerating Google Analytics being the primary means by which most marketers analyze results across all their online marketing channels? If I were in charge of Facebook strategy and product management, heads would be rolling every day of the week until that feature came out. Being forced to use UTM tagging for tracking is akin to Spock trying to get his tricorder to play back with 20th-century technology. It can be done, but what a hassle — tagging is a major pain point for Facebook advertisers. There are a few third-party products that provide auto-tagging capability for Facebook Ads, but this is a feature that clearly should be in Facebook’s wheelhouse. How about some real placement reports? I was amazed some time ago to find that Facebook Ads’ reporting does not give detailed breakouts of performance by site (or “placements,” the standard industry parlance). Sorry, breaking out performance in the way that Facebook Ads does, by channel (Facebook, Facebook Audience Network, Mobile vs. Desktop) is not a real placement report. That’s a misleading name; it should, more properly, be called a channel/device report. How about actually telling advertisers what sites the ads run on, in a real placement report that lists the actual placements? Hello, it’s 2017… brand protection… anyone? Bueller? Bueller? While it’s laudable that one can now at least load a block list of domains (once your CEO has called you to ask you why your ads are running on some crazy site, which is always a wonderful experience for a junior marketer to go through), how about showing specific sites in a real placement report, just like the entire rest of the display industry has been doing for over a decade, so the junior marketer can get ahead of the curve? I’m not talking asking for site targeting (which would be great, too, don’t get me wrong)… but can I at least understand where my ads are showing? Seems a reasonable ask! I have to say, these annoyances aside, Facebook’s targeting is truly amazing. I’ve been doing a lot with it, but I still feel like I’m just scratching the surface. The fact that I’ve been able to figure it out at all, get our campaigns tagged and track everything in Google Analytics and evaluate campaigns beyond simple engagement metrics is a testament to how much Facebook has gotten right with this platform. Generally, the usability is pretty good; I just hope the Facebook Ads team continues to evolve and improve it!